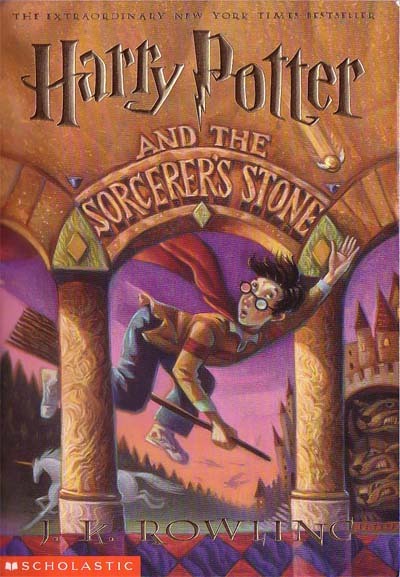 Came in like a lion, went out like… Harry Potter. This is woefully overdue. I hope I remember any single thing about any of these books. Please don’t fault me for fudging weird details. This was one of my “trapped on a plane” books! But what a great book to be trapped on a plane with! I really enjoyed this book for three reasons. Reason #1: Eustace Conway – “The Last American Man” – is damn interesting. He kept hundreds of turtles in his backyard as a child. He left home at 17 and lived in a teepee while he put himself through college. He rode horseback across the United States with his brother. Much like my affection toward Unlikely Memoirs, I also like Unlikely Biographies… even though these two imaginary genres have kind of an inverse relationship. Unlikely Memoirs are normal people writing their life stories in interesting ways : Unlikely Biographies are profiles of people who are relatively normal (read: not famous), but have fascinating lives nonetheless. Anyway. Reason #2: Gilbert’s biography walks the line between capturing Eustaces’s cool, fascinating-ness and showing the dirty-underbelly that make humans HUMAN. The book spends a lot of time commenting on the effect Eustace has on others – he’s incredibly charismatic – but Gilbert also talks about his character flaws that keep him from getting everything he wants. For this reason (and other more obvious ones), this book reminds me of John Krakauer’s Into the Wild – which is a high compliment! Reason #3: Say what you will about Gilbert’s writing tone – I know it rubs people the wrong way – but I absolutely eat it up. Reading this book is like your best friend telling you about this amazing person they met. There’s an intimacy and definite passion in her writing. She could probably write about dirty socks and I’d want to read it. But to each his own! 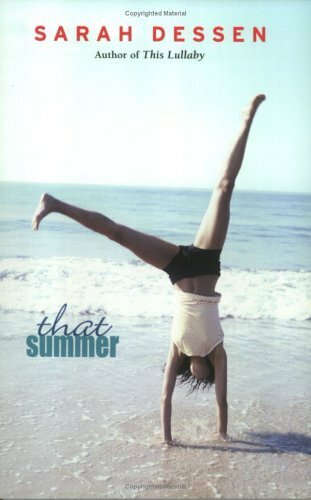 The first on my endeavor to Re-read Every Sarah Dessen Book in order. I’ve actually read this one at least twice, so I’m more familiar with it than others. Everyone (myself included) talks about how reading one Sarah Dessen book is like reading Every Other Sarah Dessen book. Her books do have a similar aesthetic, often follow a particular narrative structure (messed up girl meets boy, boy helps girl not be so messed up), and share locations and characters. True true true. But re-reading these older titles, I am suprised by how non-romancey they are, or at least how the “heart-throb” love interests take a backseat to other stuff going on in the foreground of the novel. 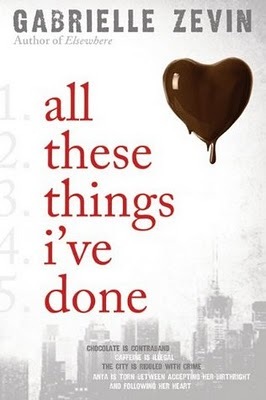 This book, Dessen’s first, doesn’t even HAVE a love interest, really. The narrator, Haven, is a bit preoccupied with her older sister’s ex-boyfriend, but never in an actual romantic capacity. This story is all about Haven’s relationship with her older sister, and both sister’s reactions to a parental divorce. There’s a kind of spooky side plot about a local girl who became famous as a model but who had a mental breakdown and had to move home, too. A lot more than just boy-meets-girl. I generally like books by bloggers. I don’t know what this means about my literary tastes, but I really do enjoy the “blogging” writing style, whatever that is. I like seeing how the writer’s personal style changes when confronted with a longer form of prose. I whipped through Dooce’s It Sucked and then I Cried over one Christmas break, loved Girl’s Gone Child‘s Rockabye as a First Book After the Semester’s Over, savored Orangette‘s A Homemade Life while vacationing in DC, and am slowly giggling my way through Pioneer Woman‘s awfully silly Black Heels to Tractor Wheels. However, I am not sure that Haupert’s blogging “personality” really translates well to book form. 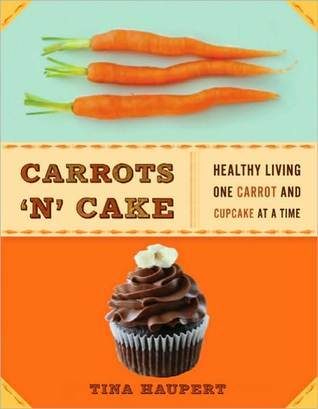 It could be that she keeps a food/fitness blog and not a personal blog, but I was disappointed in the lack of narrative in her book. It’s a fine book – well written and a lot of interesting content – but what it boils down to in the end is really basic fitness information aimed at those who are just embarking upon fitness journeys. No eye opening info, for me anyway, and not enough narrative content to keep me interested. I will still continue to enjoy Haupert’s blog, but I just don’t think I’m the right reader for this particular book. I told you about how when I visit my parents, I can always count on an unexpected book to grab my attention, usually from its abandoned position on a coffee table? Never a book that another family member is reading, of course. That would be mean! Anyway, there is a second book phenomenon that I almost forgot about when I was at home in May: my mother’s occasional influx of Advanced Reading Copies! Yay librarians! This was an ARC written by an author who wrote two other books I’ve enjoyed – Elsewhere, a book about the afterlife, and Memoirs of a Teenage Amnesiac, a book about what would happen if your memory from age 11-17 and what you would think about yourself. All These Things I’ve Done, however, is a dystopia. I am about dystopia-d out, but I brought this all the way from Michigan to Boston so I thought I might at least try to read it. The dsytopian premise was interesting – class/power structures had gotten out of hand in America, and the government has stepped in to regulate, but of course have regulated some other stuff too, like declaring a prohibition on coffee and chocolate. The narrator, Anya, is a part of a mafia family that owns an overseas chocolate factory, but her parents have both died and left her and her two siblings in the care of their dying grandmother. Anya is kind of on the fence about her family – she loves them with fierce loyalty, but at the same time, their illegal doings eventually got her father killed – but she is managing to care for her siblings without involving herself with them too much. Things become more complicated when she is accused of poisoning her ex-boyfriend with a bar of tainted chocolate. And of course, things become even MORE complicated when she falls in love with the new kid in town – the District Attorney’s son. There was some horrible cliffhanger in anticipation of a trilogy. I have completely repressed it from my mind, apparently. Which also could speak to my overall opinion of the book: it was a fine book, but had some annoying patterns. I didn’t really buy Anya’s switch from hating Win to conducting a torrid affair. I thought that her attitude throughout the book was kind of haughty and not particularly endearing. And can we write some more standalone books, people? Not everything needs to be a trilogy. And not every author needs to write a dystopia. I think that I could read this book every year for the rest of my life and be happy. This year, I read it at just the best time: June, when the farmer’s market is about to open, when you can finally spend some time outdoors, when you can actually start eating fresh, local produce instead of dreaming about it. The first time I read this book, it was February in Michigan. Don’t do that. For those who are behind the times, this is a book about feeding your family with locally (and often personally) grown food as a way of life. It is one of my favorite books because it is exactly the kind of life I wish I had. 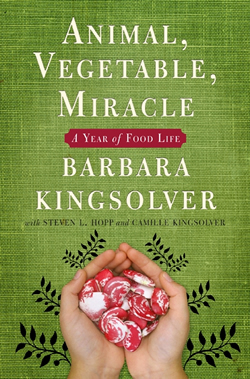 I would like nothing better than to become Barbara Kingsolver, ASAP. Also, can I plug the audio recording of this book for a moment? Read by the author. It makes for a personal, lovely, listening experience. 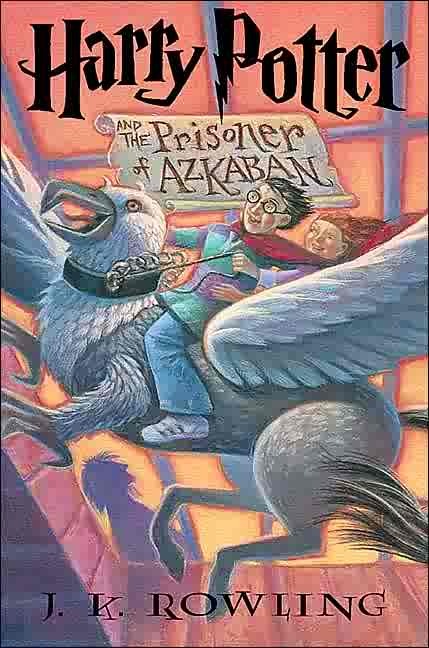 So, I got this notion about re-reading all the Harry Potter books in anticipation of the movie. 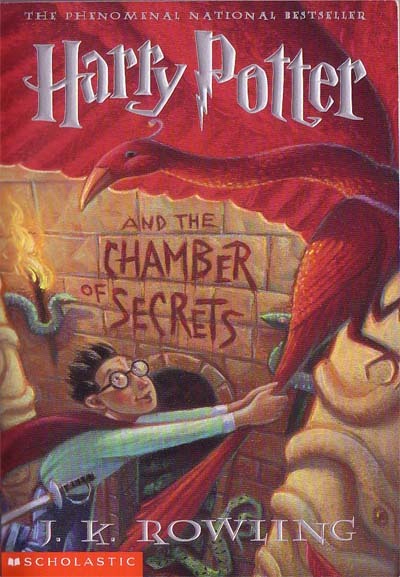 Anyway, I have read this first volume the most – probably four times now – and I am always shocked to remember exactly how much it reads like standard juvenile fiction. New kid comes to a new school, finds adventure, happy ending! Never a bad read, but always feels like grunt-work to get through to the longer novels. Side story: in an attempt to acquire the most random, unmatched collection of this series, I bought a copy of this book for 50 cents at a thrift shop. What I didn’t notice – my copy ended on page 179. The action picks up! Harry’s second year of school, and things get a bit more interesting, thematically and plotwise. I like how Rowling introduces the idea that Harry being a celebrity at school doesn’t necessarily mean he is well-liked. I also liked how Tom Riddle’s back story become relevant to the story. Again, Adventure —>Dumbledore spends way too many pages telling Harry what everything meant about what just happened to him —> Gryffindor Wins The House Cup! I don’t even remember if they actually did win the cup that year, but they might as well have. Happy Endings all around. I also liked the orchestra of musical saws at the ghost party. The time turning plot really annoys me because I think the book/movie is going to be over BUT THEN IT’S NOT. wtf. I did, however, cry when Harry sees himself and thinks its his father. 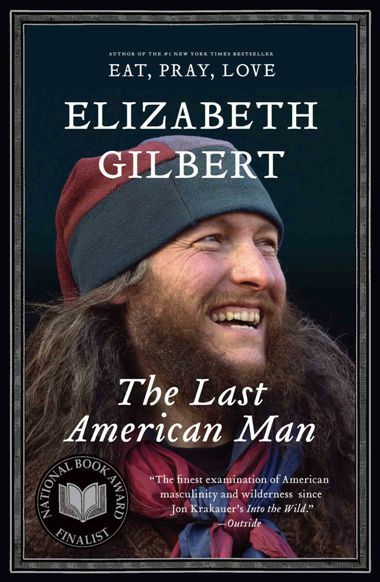 I’ve been wanting to read The Last American Man. Your review might be the final push I needed. Off to locate a copy.